I offer the following talks for audiences, full of energy, sharp humour, anecdotes and examples. They are elegant and unique, and can be tailored to your audience, lasting anything from 25-minutes to up to two-hours depending on your needs. In this talk Matt takes you through the basics of NLP. Giving lots of stories and anecdotes. He undoes the miss-conceptions and avoids jargon teaching you about NLP in plain and simple language so you can see how you can benefit from learning this technology. Coaching is the “phrase du jore”, in the talk we cover what coaching is, comparing it to counselling and mentoring and look at the benefits of employing the techniques of the coaching whether in a professional capacity or in a leadership or management setting. Sadly it is often the case that the employees of an organisations are the most neglected and least invested in. Why is this? And how can NLP help your organisation become more creative, effective and ultimately more profitable. How can you as a business-person improve your effectiveness and reach your potential. This talk explores and goes beyond the motivation myth. Motivation is very much bandied about in personal development and business circles. However, a better method maybe to produce a relevant a psychological or mental state for the given situation. For example, curiosity could be useful for learning, focus for achieving results, and excitement for moving forward. This talk is a condensed segment of the Business Practitioner training and built around a real life example of improving a sales persons ability. Exploring the idea of possibility and generating creative and choice filled thought processes. 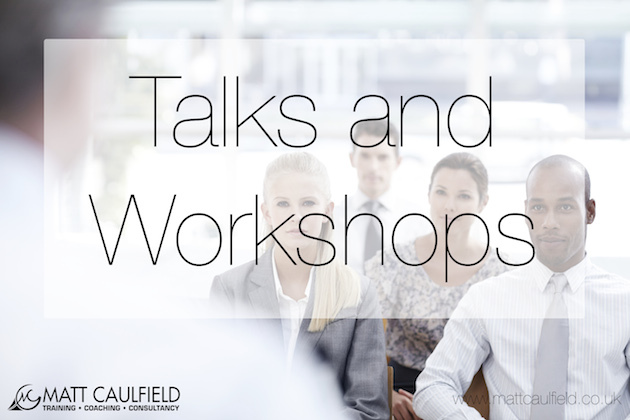 These talks are offered free of charge to professional organisations and business clubs such as BNI, the JCC, CIMA, the CMI, Sports Associations and NLP Practice Groups. For all other companies and organisations please contact me on 08423 626 277 for a quote. Please call me on 08453 626 277 or click here to contact me for more details.